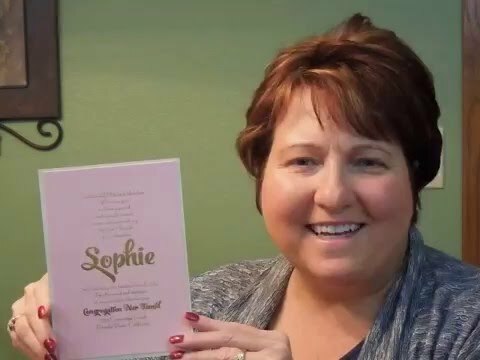 This lovely Bat Mitzvah invitation is foil stamped on Ecru Shimmer card stock which is layered over Pastel Pink Shimmer stock and features your daughter’s name in jumbo letters. 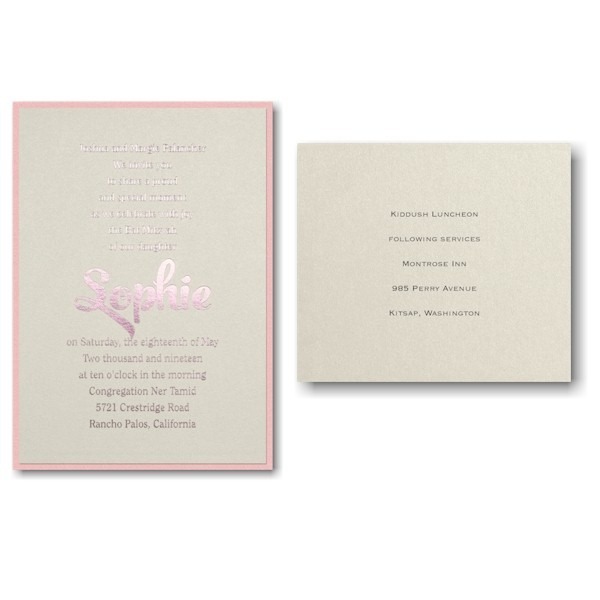 This lovely Bat Mitzvah invitation is foil stamped on Ecru Shimmer card stock which is layered over Pastel Pink Shimmer stock and features your daughter’s name in jumbo letters. Measures 5-1/8″ wide by 7-1/4″ high. 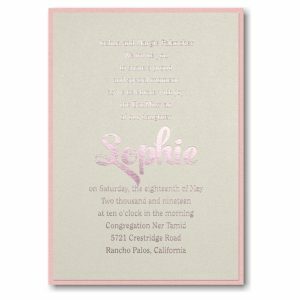 Shown with Rose foil and combination lettering styles CLR/STR. The Reception and Response enclosures will print on matching single card stock and the Thank You notes will print on folder stock. 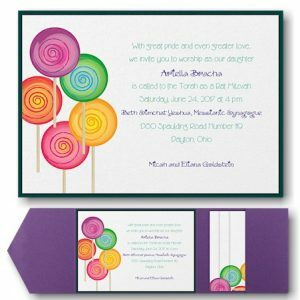 This Bat Mitzvah invitation comes with single envelopes. Customer assembly is required.